As one of the free states in the nation, there aren’t too many laws you have to worry about as a gun-toting resident of Arizona. This primer will lay out all you need to know about purchasing firearms and being a responsible gun owner. Arizona state flag, with 50% more freedom. 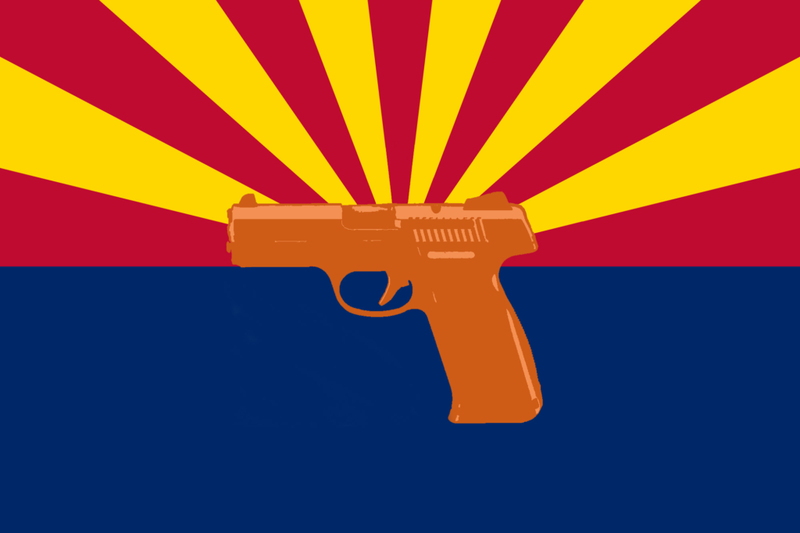 In Arizona, there are a couple of rules to be aware of when buying a handgun or long gun. If you’re buying the handgun from your local gun store or dealer, they will also have to conduct an instant background check. This will cut down on the cost and save some time every time you buy a gun (you’re buying more than one right?). So What Makes You a “Prohibited Person”? Were adjudicated as delinquent and possess, use, or carry a firearm within 10 years from the date of adjudication or release, for an offense that would have, for an adult, been considered first or second degree burglary, arson, murder, manslaughter, kidnapping, robbery, aggravated assault, sexual assault, or any felony involving the use or threatening showing of a deadly weapon. If you don’t meet any of those conditions, you’re good to go! There are some situations that may let you get that shiny Glock in the display case after all. Even if you are a “prohibited person”, if you are ever pardoned of your convictions and have your firearms purchase rights restored, you will still be allowed to buy a handgun. 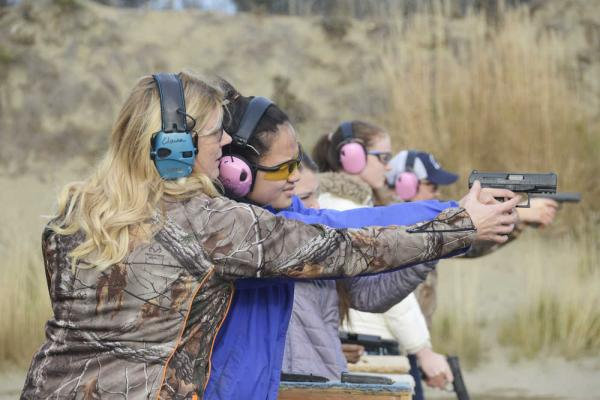 While the state of Arizona only requires you to be 18 or older to buy a handgun, the federal government requires you to be 21 or older to buy a handgun from a licensed firearms dealer. So if you are between 18 and 21, you cannot buy a handgun from a licensed gun dealer, even though Arizona is perfectly fine with it. But it is perfectly legal to purchase a handgun through a private sale. However, you must be 21 or older to buy ammo, even if you are buying through a private sale. No one said laws had to make sense. or those of you under 18, there’s some good news. As long as you have written permission from your parent or guardian, you can buy all the firearms and ammo you want! So be nice to your parents! Can’t Forget the Long Guns! Fortunately, Arizona decided to make things easy on gun owners and made all firearms laws apply almost identically to both handguns and long guns. All other laws that applied to purchasing handguns are the same here with long guns. For firearms collectors, the state laws do not specifically provide any exceptions when buying antiques or replicas. This means that antique and replica firearms are treated the same as any other firearm. Under Arizona law, a gun that is permanently inoperable is not considered a firearm, so none of the laws on firearms apply to it, and can be treated like any other item you own. The downside is, it doesn’t go pew, so what’s the point? Once you’ve got your shiny new gun, there are some rules about where you can bring it. These carry laws apply to both handguns and long guns. Not to worry! There are some situations where a person under 18 is allowed to openly carry a firearm. There are no restrictions on carrying or using firearms when you are on private property you, your parents, grandparents, or guardian own, or lease. You can do whatever you want on your own property! But What About Concealed Carry? So Why Does the State Issue Permits? You don’t need a permit to carry a concealed handgun in Arizona, but you will need an Arizona concealed carry permit to be allowed to carry concealed in other states when you travel. For those of you interested in learning more about getting an Arizona permit, check out our dedicated CCW page. Just because you are allowed to carry your gun, doesn’t mean you can carry it everywhere. Businesses can request you remove your firearm and place it in their custody when you are inside their store. Gotta lock up that shiny Baretta! 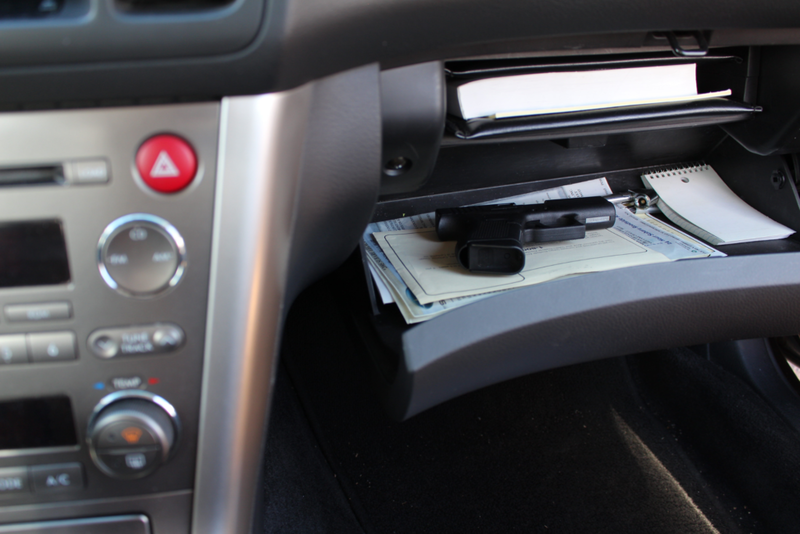 Common sense is a big part of being a responsible gun owner, and anywhere you think you and your gun may not be welcome, you may be better off leaving it unloaded, locked, and hidden away in the car. 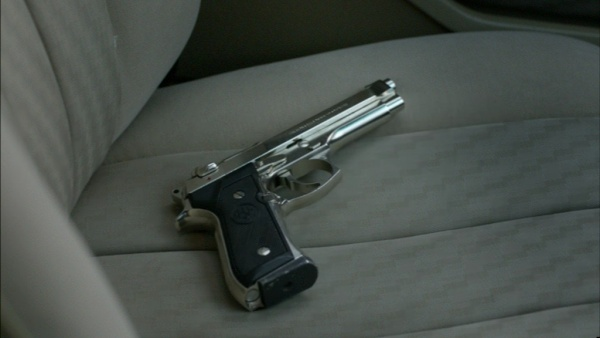 If you are not carrying the gun on you, and are just transporting in your car, it is required to be in a container. No registration of firearms is required in Arizona, so go and buy as many guns as your paycheck allows! When Can I Use My Gun? 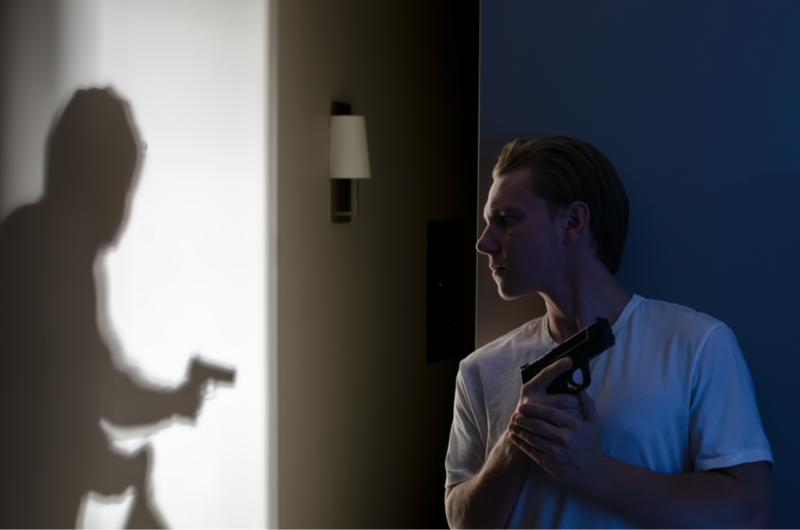 Arizona follows the Castle doctrine, and recently also adopted a “Stand Your Ground” statute. The Stand Your Ground statute is similar, and basically says that you have no duty to retreat from somewhere you are legally allowed to be (i.e. your house, your car, a restaurant, etc. ), and can use deadly force if any of the situations of the Castle doctrine would apply. With that being said, always use your best judgement to decide what type of force is appropriate to defend yourself. Just because you do not have a duty to retreat does not mean you must use deadly force in every situation, even if you are justified in doing so. 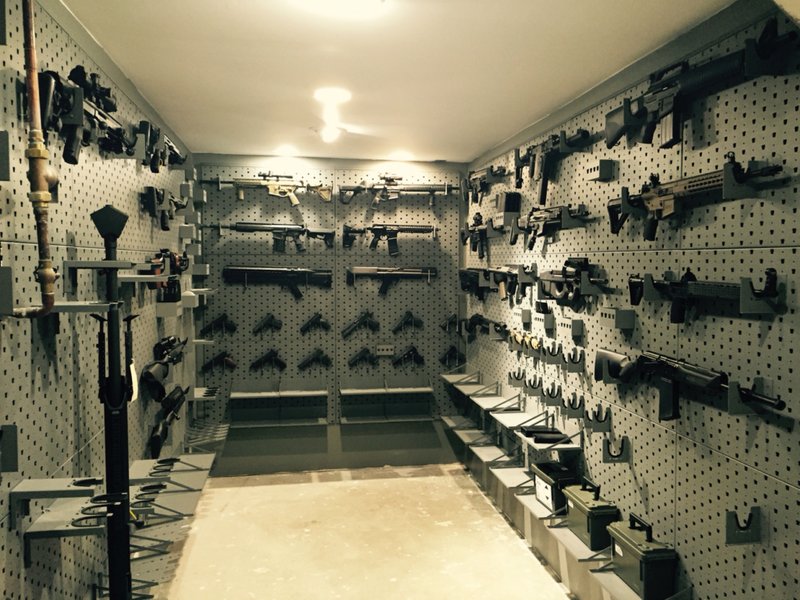 Now that you know all you need to about Arizona gun laws, don’t forget to get a nice safe for that new gun collection you’ll be starting. A sturdy safe can keep your guns from sticky fingers when you’re out of the house, or just curious kids, for those of you with families. If you want to start smaller, a gun cabinet, or even just a decent handgun safe may be a good investment, so that you have somewhere to put your shiny guns away after a day at the range.